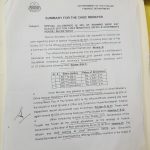 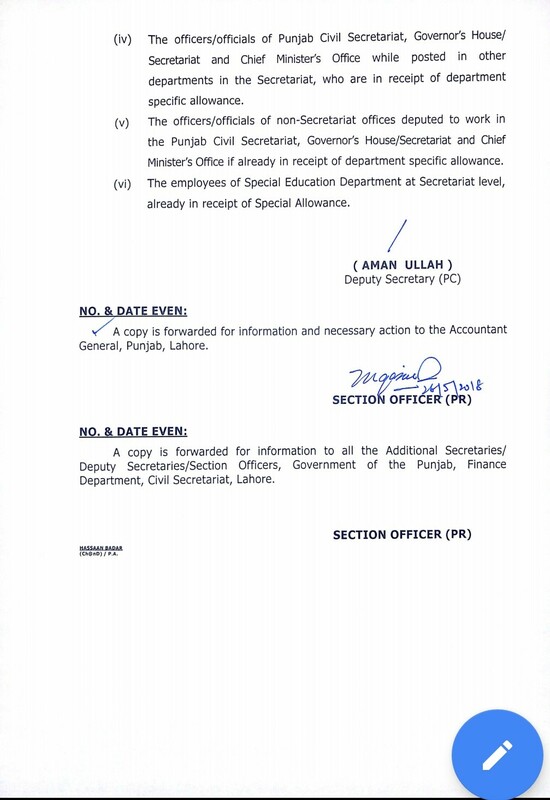 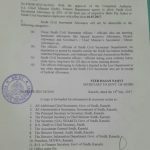 I am directed to refer to the subject cited above and to state that the Governor of the Punjab has been pleased to grant “Civil Secretariat Allowance” @ 50% on running Basic Scales 2017 w.e.f. 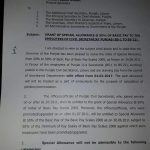 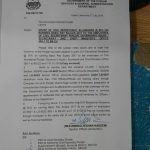 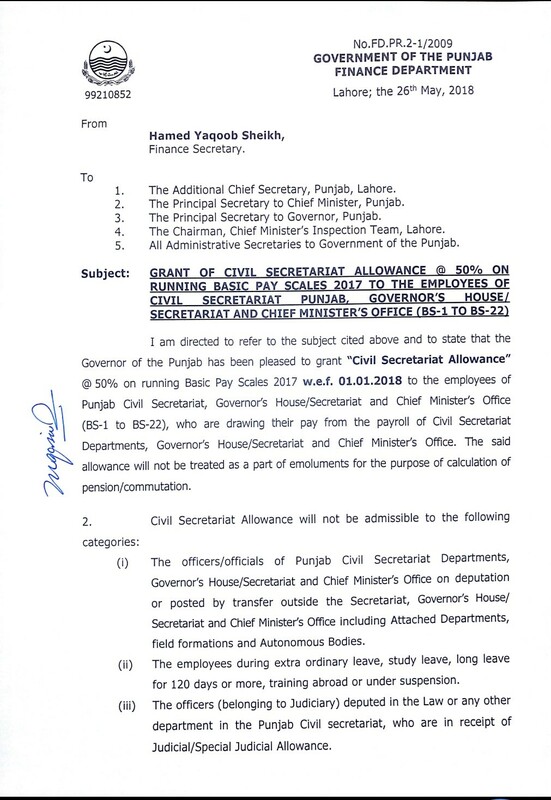 01.01.2018 to the employees of Punjab Civil Secretariat, Governor’s House/Secretariat, and Chief Minister’s Office (BS-1 to BS-22), who are drawing their pay from the payroll of Civil Secretariat Department, Governor’s House/Secretariat and Chief Minister’s Office. 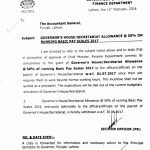 The said allowance will not be treated as a part of emoluments for the purpose of calculation of pension/commutation.